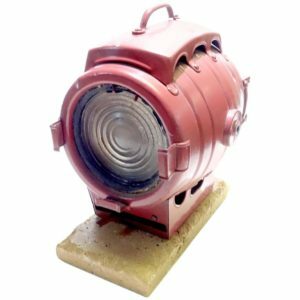 Offered for your consideration, this Mid-Century Kliegl Brothers metal halide light source, HMI light fixture on a Stand. 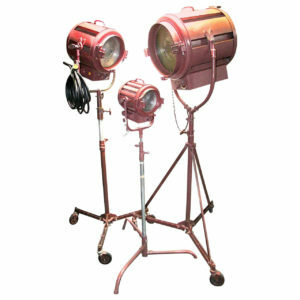 HMI lights for cinema use were invented in the later-mid 20th century and this appears to be Kliegl’s effort in producing this type of powerful cinema light source. They never captured this new market so probably produced very few, if any of these. Kliegl Brothers was founded in 1896 and was a leading stage and cinema lighting manufacturer until 1990 when they closed. The unit has no serial number and just says: “HMI” where the serial number would go. This leads us to believe that this was a prototype, as we have never seen this model previously. Several choices of stands are available to the buyer. 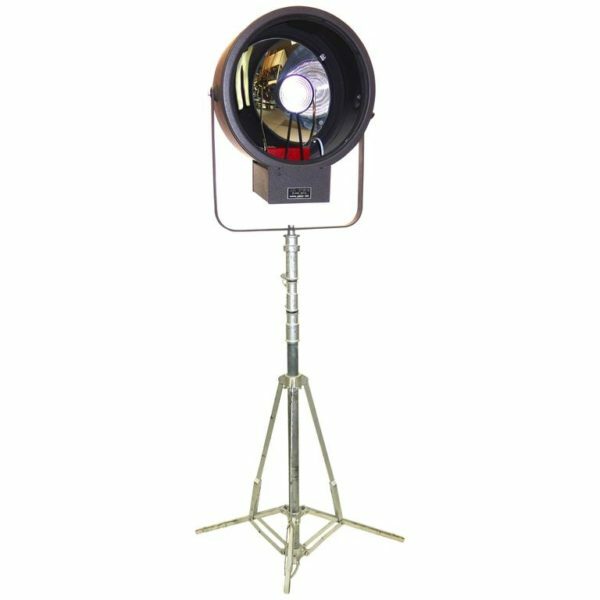 The fixture is in like new condition and it is sold not working as an HMI, but electrified with a vintage glowing filament lamp. The fixture can be focused for a spot or flood illumination pattern in your space. 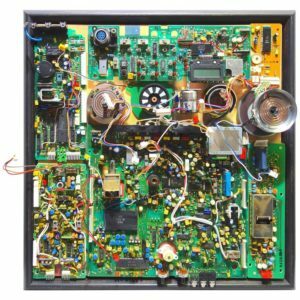 The original HMI function is not working as the high UV output is not suitable for display use. 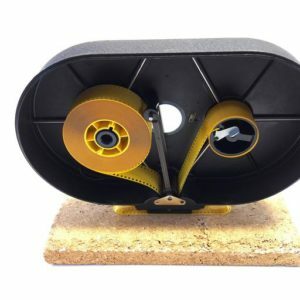 This Classic cinema light fixture offers a unique look for display and would be the pride of any collection.